Prime commemorates the anniversary of Tom Petty’s death with this special encore. 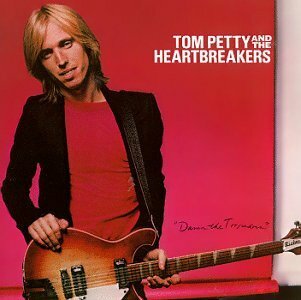 Damn The Torpedoes, the third album by Tom Petty and the Heartbreakers. It's probably no longer true because the musical landscape has changed so much, but from the Seventies onward there was a saying in rock culture: The Difficult Third Album. It was called that because, as the cliché went, you had about five years to write your first album, your second could have decent leftovers from the first and a few new songs heated in the fire of enthusiasm . . . but the third album? That was the one you had to write on the road. It was also the one where the weight of fan and record company expectation weighed heavy: Can they still do it? The '79 third album Damn the Torpedoes by Tom Petty and the Heartbreaker was more than difficult on a musical level, it threw Petty into conflict with his recording company and arrived as a classic rock sound (Byrds, Beatles, polished garageband rock'n'roll) at the time of snappy New Wave and disco. In some ways it was out of step with its period, they were longhair rockers at the time of buttoned-down post-punk . . . but they were a killer live band and they had the songs. Produced by Jimmy Iovine, Torpedoes was tight (nine songs in 37 minutes) and the songs were like a series of singles. And indeed they were, the album sprung four Petty classics in the following nine months: Refugee, Here Comes My Girl, Even the Losers and Don't Do Me Like That. And the other songs weren't shabby either: Shadow of a Doubt, Century City, You Tell Me, Louisiana Rain . . . There is a sense of coiled menace in many of them (check Refugee) and also pure pop-rock (Here Comes My Girl, Century City). Everyone involved knew this was make-or-break time, but also that they were making a great album. It sold massively, went to number two in the US and number one in New Zealand. It made the band . 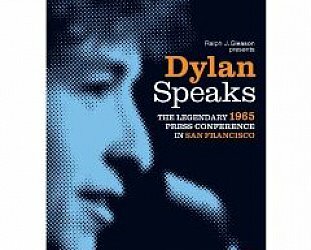 . . and they and the album are the subject of this hour-long doco which has interviews with Petty, the band members, Iovine and others. Sometimes it might get technical for those not into a kick-drum sound and in how the songs are deconstructed, but it is fascinating nonetheless because the songs are so distinctive and defining. Tom Petty and the Heartbreakers were established as a classic American rock band . . . and then it was on to the Difficult Fourth Album.